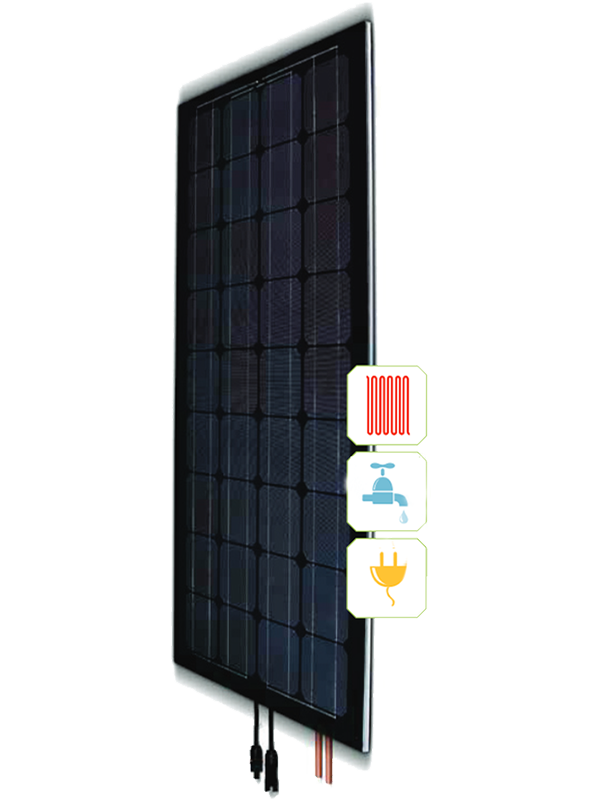 With the power from the sun the solator generates electricity and hot water from one module! This means double utilisation of the roof or facade surface being built on. At the same time the unique, compact, frameless structure allows the panel to be gracefully integrated, optically and architecturally, into the bulding. - Very high efficiency factor due to the douple surface utilisation! - Increase in photovoltaic output due to cooling the cells.